What’s it like to answer angry tweets about trains? 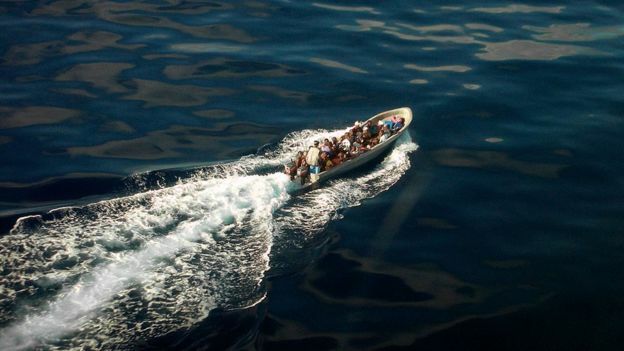 Europe has been so transfixed by tragedies in the Mediterranean in recent years that a similar crisis in the Indian Ocean has gone almost unnoticed. It is caused by the magnetic attraction of the French island of Mayotte to the inhabitants of the neighbouring Comoros Islands. This is the last thing Nouriati el Hairia Houmadi remembers from the day where she lost her youngest brother, Ahmed, on the journey from one Comoros Island to another 60km (40 miles) away. He was 14, and she was taking him from the family home on the island of Anjouan, to Mayotte – a tiny speck of French territory in the Indian Ocean, where she and her elder sister already lived. The goal was to get him a better education. 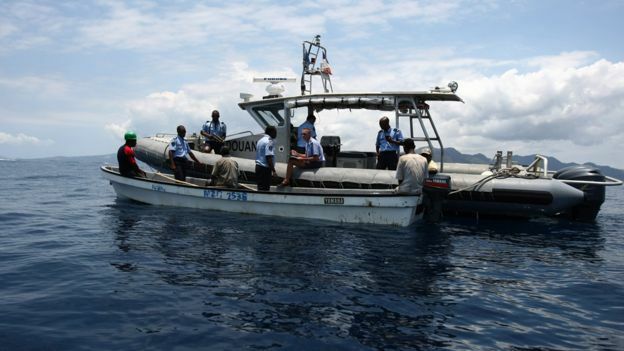 “We left Anjouan at 8pm, the accident happened at about 10.30pm in the waters near Mayotte. We could see the lights on the island,” she says. At that moment a large wave overturned the overloaded boat, and those who could not swim had little chance. Eighteen died, some before the rescuers took away the women, and some after. This was back in November 1997, but it is a scenario that has been repeated again and again in the intervening years. 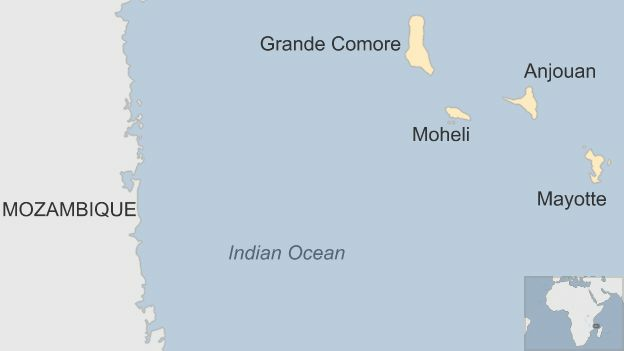 Thousands of people have died on the journey to Mayotte from the other Comoros Islands – Anjouan, Moheli and Grande Comore – since Mayotte voted to remain part of France in 1975, and the other islands voted for independence. It’s a carbon copy of the situation in the Mediterranean, where people make the crossing from North Africa or Turkey, in search of a better life – except that few in the West have paid the slightest attention to this crisis in the waters between Mozambique and Madagascar. “We have the mournful reputation of having the largest marine cemetery,” the Governor of Anjouan, Anissi Chamsidine, said in May. The problem became acute in 1995, when the French government, under prime minister Edouard Balladur, put an end to visa-free travel. Nouriati el Hairia Houmadi had made her first visit to Mayotte before the introduction of visas. She flew by aeroplane and was legally entitled to stay for three months. 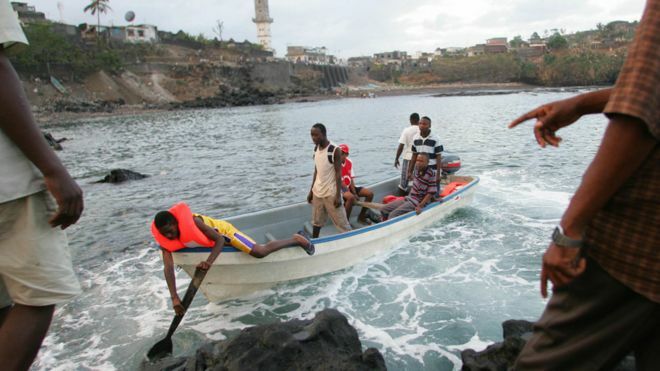 By the time she went back with Ahmed both should have obtained a visa – but islanders from the villages often do not have the papers needed for a visa application, so nearly everyone travelling to Mayotte from other Comoros islands goes illegally, by fishing boat, or kwassa-kwassa. 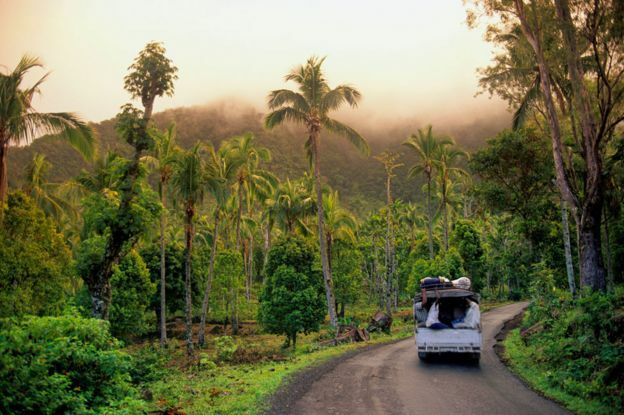 The kwassa-kwassa are not intrinsically dangerous – they are a normal form of transport between the other Comoros islands and considered by the Comorians to be quite safe. But the migrants take round-about routes, nearly always travelling at night to dodge patrol boats – and all-too-often the smugglers overload the boats, just as they do in the Mediterranean. This is why when governor Anissi Chamsidine made his comments about the “marine cemetery”, he laid the blame squarely at the door of the “Balladur visa”. The scale of the traffic is illustrated by the numbers picked up by the French authorities in Mayotte and sent home – about 20,000 in 2014 – and by the flood of applications made each year for residence permits – about 100,000, including renewals (of which only about 18,000 are approved). The attraction of Mayotte, which was made a French departement in 2011, is its higher standard of living. The jobs available on Anjouan are mainly agricultural – often on ylang ylang or vanilla plantations – which usually means long hours for little reward. There is not much to do on the island and few public services. A brand new Chinese-built hospital stands idle, because there are no doctors to staff it. In the past, someone returning from Mayotte with a few colourful T-shirts would have been an object of envy. Now the internet means that people don’t have to travel there to see the bright lights. 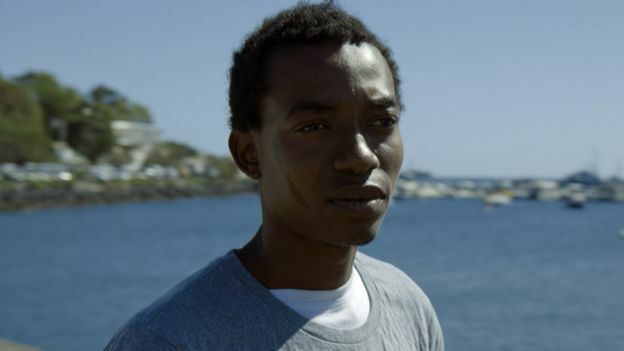 But the life of a migrant in Mayotte often turns out to be less attractive than it might seem. Ousmani, a 17-year-old Anjouanese boy who has lived there illegally for the last three years, slowly gathering the papers needed for a residence permit and doing odd jobs, says he lives in permanent fear of being stopped and sent home. “When I see a policeman I have to hide because I’m in an ‘irregular’ situation. I can’t walk past them, if they ask for my identity papers, I don’t have any legal papers,” he says. Normal French immigration laws have been altered, campaigners say, to allow instant deportation without recourse to a judge. 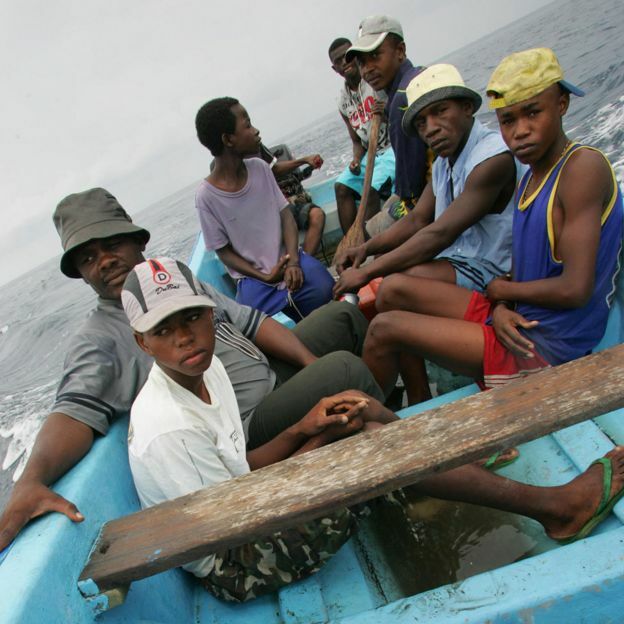 They add that under French law children cannot be deported, or put in pre-deportation holding centres, unless accompanied either by their parents or a guardian approved by a judge – but if unaccompanied children arrive on a boat with adults, the campaigners say, officials in Mayotte automatically assume the adults are responsible for the children, and deport them together. Last year, more than 5,000 children were held in holding centres prior to deportation. Amirdine Mohamed, the newly elected Mayor of Anjouan’s capital, Mutsamudu, says there are two reasons why people from Anjouan and the other Comoros Islands try to get to Mayotte. The first, he says, is “psychological” – they think life must be better on a French island. The second reason is that there is a good hospital, and some other useful facilities. “In Anjouan we don’t have them,” he says. As Ahmed’s story illustrates, some children dream of entering Mayotte’s schools. Many, perhaps most, Anjouanese families are now split between the two islands, with some members living on Mayotte, legally or illegally, and waiting for relatives on Anjouan to join them by making the crossing on which far too many die. Governor Anissi Chamsidine’s figure of 50,000 deaths is one of the highest around. Some say 20,000, while in 2012 a committee of the French Senate put the figure at between 7,000 and 10,000 since 1995. Members of the committee called on the French authorities to take steps to end the loss of life, and to put an end to the Balladur visa – which, they pointed out, had failed to prevent illegal migration. A foreign ministry spokesman told the BBC a French-Comorian joint committee, created in 2013, was trying to “improve maritime security in the hope of putting an end to tragedies in the water”. It’s easy to understand why people in Anjouan are attracted to life in Mayotte. But the island has some attractions of its own. It is beautiful, as well as quiet. There are no beggars on the street – the islanders follow Muslim tradition and provide charity for those who do not have enough to eat. Barely a week goes by, though, when the Anjouanese don’t hear or read a news story about shipwrecks and bodies washing up on their shores. On a visit to Anjouan, BBC Swahili’s Zuhura Yunus calls on Ousmani’s younger brother. They have not seen each other since Ousmani left three years ago, and only talk on the telephone once every three months. Why Does the Algerian Regime Fear Rachad? Who hijacked Malaysian flight MH370? East Africa’s political borders flurring turmoil? Posted on 19th October 2015 by newsafrica. This entry was posted in Africa and tagged Chanel No. 5, Comoros, Comoros Islands, European Union, Grande Comore, Indian Ocean, Mohéli, Mount Karthala, Solomon, Volcano. Bookmark the permalink.